A fairly quiet time, we are saving all our energy for travelling to the UK in May! I decided to replace a gas cylinder which fuels a couple of rings on our hob. We don’t use them often – this was only the third bottle since we got here. I decided to carry them down to the cellar where they live down some outside stairs, normally only used by the man who delivers our heating oil. I managed to slip and land on my back across a couple of stone steps, and it really hurt. Judy was a bit worried, but I don’t seem to have damaged anything vital, although I still have some back pain a few weeks later. Also had my bi-annual blood test and my cell count is holding pretty steady, so nothing to worry about there. Jude continues to be disgustingly healthy. Each year the commune produces a report to tell you what has been happening, what will be happening and how our taxes are spent. This year our house was on the front cover - well they do floodlight us at night! While shopping in Brive with Judy and our friend Rhonda I found an exhibition in a local galley which absolutely blew me away. The gallery is an old church, and it was filled by a photo exhibition. The photographer works for the phone company, and asked customers he visited to pose for him in their homes holding their phones. It sounds a simple idea, but the pictures were astonishing. The Correze is still one of the poorest areas in France, and it was a salutary experience to see how some people still live, especially the rural old. I don’t know if the French viewers were as astonished as we were – we all went back to see it again later, perhaps the shock for them was not so great. Judy had a significant birthday in January, and to celebrate we went out for a very enjoyable dinner with friends. It would probably have been a more relaxed evening if I hadn’t had a senior moment and forgotten how to find the restaurant. Anyway we all got there in the end and had a great meal. A few weeks later we went to another birthday party - our friend Patrick who was 101. As always he was on great form an thoroughly enjoyed all the attention, especially from the ladies! 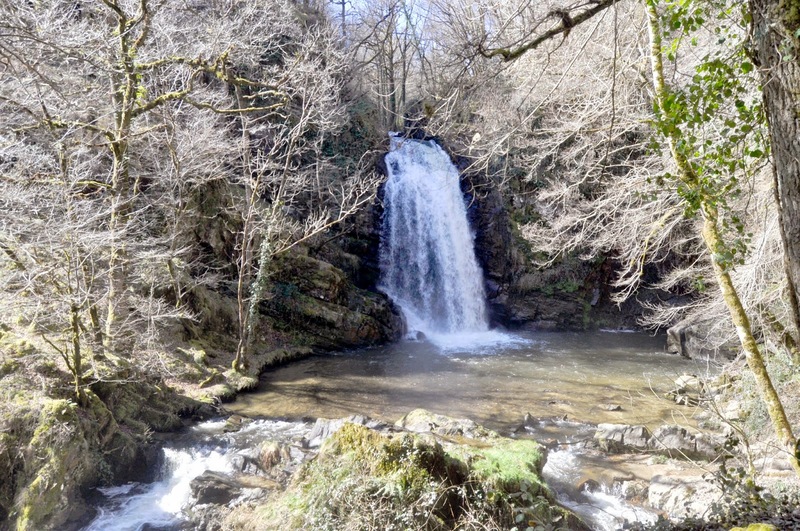 Still picnicking when the weather is fine – had some very nice days out – especially one where visited the Cascades de Murel, had lunch (OK in a restaurant), drove along the banks of the Dordogne and finished up having an ice cream in the lovely town of Argentat. One mistake we won’t make again is going out on a very wet Monday. Everything shuts on Monday, and drenched scenery really doesn't make up for it. We are lucky to have a local airport at Brive, if only they and the airlines could get their acts together. The airport website was months out of date, and City Jet who fly from London City Airport, and who had two flights a week, suddenly stopped, started again and have now stopped until the summer. Their website carried on blithely saying that they had two flights a week, and if you tried to book, you got a “computer problem come back later message”. Rubbish. Ryanair will be flying in from Stansted again next month. We investigated all this as I have a friend who is working in England, and getting home for weekends has been a nightmare for him. We had a smattering of snow over the winter, but nothing settled. On one of the English-speaking websites I look at several people said they were snowed in a few times. And this is still in the Correze! It’s a big place, the nearest ski resort is less than two hours from us in the Masif Centrale. The photo below was taken in mid-March about 40 minutes from home. Poor old Bertie is much better, he was slowing down visibly a few months ago, but he is more his old self – just a bit blinder and deafer. Icare still bounces around the place, mainly off the walls! 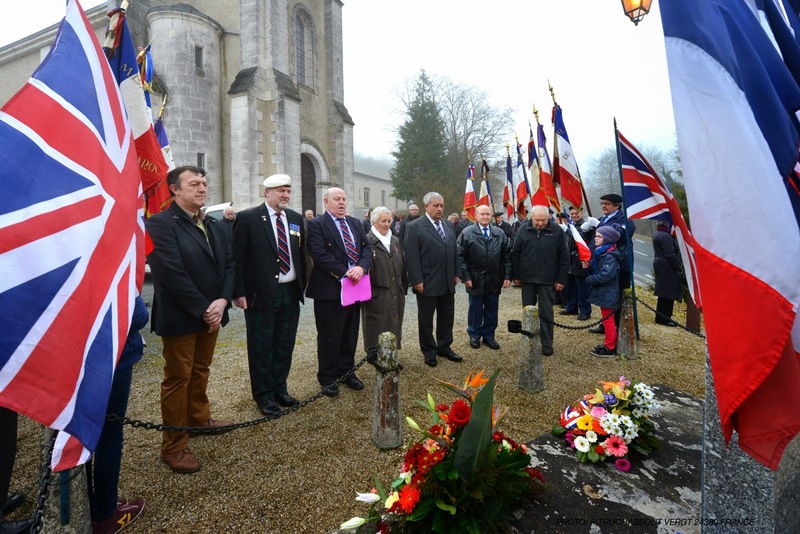 In February I was asked by the RAF Association to go to Grun Bordas, a small village in the Dordogne and lay a wreath on behalf of the RAF at their war memorial. 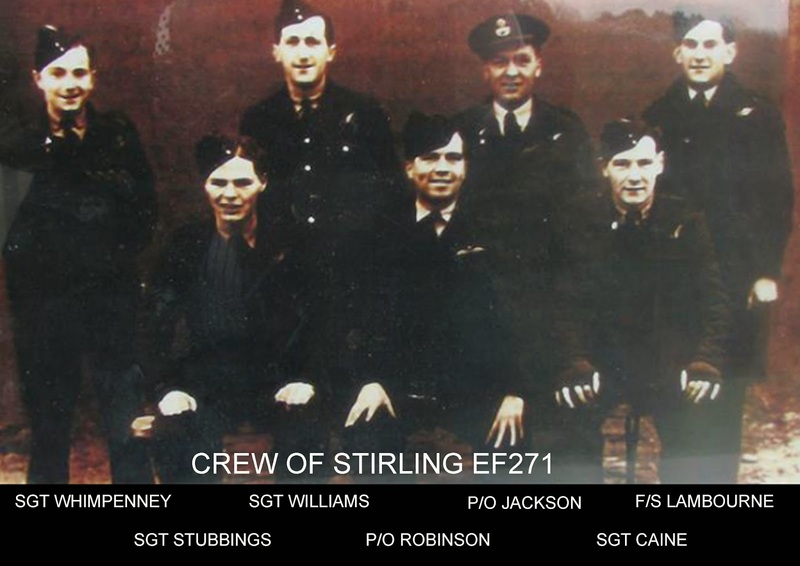 It was the 71st anniversary of the crash of an RAF Stirling, which had been dropping supplies to the resistance further south, with the loss of all the crew. The locals turned out in force, and we even met an elderly lady who had actually heard the aircraft crash. A very poignant and moving experience. We have been showing our friend Rhonda some of the nice places to visit – it’s her husband working in UK. So far we have been to Collonges la Rouge, Turenne, Brantome and a few other places. I take good care to tell her husband what a good time we had as he enjoys the pleasures of Woking. A few weeks ago we ventured into Brive with friends to see “Birdman” with Michael Keating, luckily in VO – version originale, i.e. in English with French sub-titles. It was one of those films where you all walk out when it finishes and eventually someone says “Um, what was that about?”, and the others breathe a sigh of relief. We all enjoyed it, could see it was brilliantly acted, but we could see why it was playing five times a day in a French art cinema. By the way, going by what the actors said in English and the French sub-titles, English is a much richer language for swearing in. Two short stories to finish. We went out for lunch with our friend Rhonda, and when we got home I opened our front door, to find a large black dog standing inside looking at me. I shut it again, then slowly opened it and the dog ran out. Apparently Judy had left the door open earlier, and he had sneaked in. Luckily he hadn’t done any damage, and his owners apologised profusely. Rhonda said my face was a sight to behold. Finally I went into Objat for a haircut, and decided I would tell the barber about my haircut in New York, being offered a whiskey or vodka etc. I looked up some words I didn’t know, and sat down to have a jolly chat. Before I could say anything a friend of the barber’s came in, and they chatted above my head (literally and figuratively) until I was finished. Ah well..